Short cuff sporty riding goodness, the Alpinestars Celer Gloves are the perfect mix of protection and mobility. 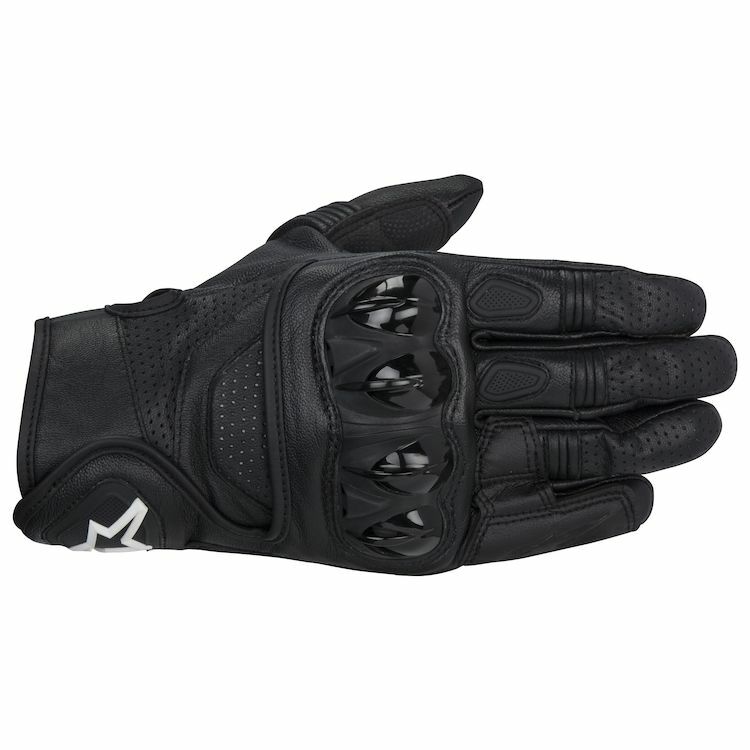 The supple full-grain goat leather chassis is reinforced with EVA foam and race proven hard PU knuckle protection for a ultra durable short cuff glove comfortable enough to ride all day long. I normally wear M size, I am fan of Alpinestars, but I have difficulty to put my hand into this gloves from the entry point, I would need to put some effort to wear them in. I think the entry point is too small or narrow, this is a design flaw to my opinion. I’d recommend this product as it is a must have for riders that want amazing protection and style with high quality leather! They get a little toasty when you’re riding in warmer temps (70-90 degrees), but other than that it’s an amazing glove. Solid protection from a short glove, tight especially in the finger length. Pretty Solid Glove for the Money! So far so good, these gloves are pretty nice. The fit a bit snug they but not discomforting. One on they feel nice and easy to work controls with, except for the thumb! Maybe my thumb is slightly smaller proportionally but there is a bit more excess materials in the thumbs than I’d like. Still over all pretty good fit and comfort. Pretty good comfort for protection level. Would prefer real slider on palm. Use alpinestars size guide. Gloves will arrive snug, but after a few rides they fit your hands really nice. Typical alpinstars quality with materials, and construction. Quick as always RevZilla shipping. Great looking full leather gloves for warm weather. A little snug at first but broke in nicely. So before these gloves I had a pair of 25 dollar johnny rocket gloves that I couldn't use any more after a hole appeared at the tip of my middle finger. I was really disappointed that the gloves I got to protect me just ripped at the finger tip from just wearing it normally. So I figured since riding season was coming I'd splurge and get these. So far, I really like them - they feel very protective and I think they look super cool in the White/Black/Red. The hottest I've worn them so far is like 68 degrees Fahrenheit weather and they kept my hands cool. At first I though i should've got them one size larger because they will feel a bit tight and uncomfortable at first, but after just a couple of rides they fit normally and are comfortable enough. I'd say go one size larger if you want these gloves to extend into slightly colder temps with under gloves but other than that you can get them true to size. It looks fabulous. The size was quite right for me probably because my fingers are smaller. I was riding at 45F and hands stayed warm for 20 minutes. Left ring finger is hurting at the second joint. Probably inner layer is little defective in that area. Quality pair of gloves, good leather and airflow, looks great and feels comfortable. I am a large but ordered an XL, which fit perfect. Order a size up for sure. You'll enjoy them! Good protection and they're black. Revzilla review and rider feedback. Needed good, non-gauntlet gloves which offer good protection and are usable in more than 1 season. Have always worn Alpinestar gloves...love them. Price point and other user ratings. Seemed High quality and visually attractive. The gloves have been very durable, I use them almost daily, here in Florida. They are a bit hot, but comfortable. I ordered XL based on comments and should have went with the large as suggested. I would recommend these gloves. This was my option to ride during winter and the not so hot days in Saudi Arabia. This gloves gave me a wonderful ventilation even more than expected. The gloves looks really great, excellent quality and protection. Needed an in between glove for fall and spring. Good protection, isn't TOO hot. That being said not a good summer glove. I also liked how the protection went up over the wrist. Last but not leas the knuckle protection was more comfortable that straight D3O while still being effective. I wanted something that was armored but didn't have a gauntlet style cuff so that it would be compatible with the "monkey-paw" in my Raiden DKR jacket. best glove for the price. always needs gloves for riding. These are great gloves to have. Product Reviews written by other customers convinced me. I've had alpine SP gloves in the past and got great use and wear from them, Love your video presentations really help in making final choices. Thank You RevZella. Video review by Anthony was very believable and convincing. 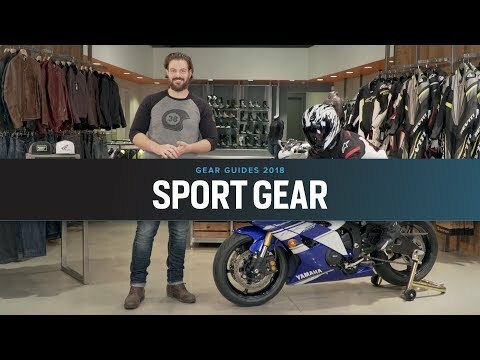 Good info on sizing and glove is perforated for warm weather riding. Many good reviews, plenty of features and good protection. Needed replacement short cuff leather gloves. It was a recommended well rounded glove from several marines i know. The reviews and build of the glove seem good to me. I was looking for a glove with good protection if/when I go down. Great deal for great gloves. When it comes to gloves n boots you can't beat A-Star for fit, finish, quality and design. I'm a lifelong fan and have used their gloves for better than 20 years! they were not real expensive and it appeared as though they were made of good quality material. Great gloves, lots of good venting and protection. Only downside I've noticed is that the leather on the palm starts to disintegrate with only a small amount of moisture. I have renthal grips and I noticed that after a few days of cooler wet weather riding the grips were covered in leather bits coming off the gloves. I've been looking at these for about a year. I finally pulled the trigger. Needed new gloves. Resized myself at 8.5inches. Put me on the fence for either meduim or large. Bought large. Hope they fit! My hand is 8.8", should i go with L or XL? BEST ANSWER: These gloves do run a bit smaller than others. My hand measures 8.5" and I wear a L and my fingers reach the ends of my the gloves. I would say go for the XL. I was wondering if the white ones get dirty after time. I take care of my gloves I just wanted to know if they stay white after time? BEST ANSWER: 5000 miles of riding white is still white. I have never cleaned them. I can't help with this one. I have the black yellow and red gloves. I have over 4000 miles on them in all kinds of weather, even rain, with no fading or discoloration. I wear a large in the SP Air, shouls i purchase the same size in these or go up? BEST ANSWER: I noticed that my one of my Alpinestars gloves - a textile one - is in size Large and it fits well. But the Celer glove is definitely an XL and that fits well. So I think sizing can be different even within the Alpinestars brand. I don't know about the sp air, but I wear a xl in almost any glove and a xl fits me. Just on the tight side, but not to tight. I would go up to XL. These compared to the textile material are a bit thicker, and a bit stiffer. Are the fingers external stitched? BEST ANSWER: No they are stitched on the inside. There are some reinforced spots that are stitched on with the threads exposed. The other now naturally becomes, will this fit over a leather jacket? BEST ANSWER: No, they fit snug and will to under your sleeves. That being said, I think these are great gloves with top construction. 5/5 rating! I found the fit of these a little awkward. They don't fit over my Jaws Jacket. I was presuming because both we Alpinestars that they would naturally go together. However I was wrong. I think the length is neither here nor there. They are too short to go over my jacket and not Short enough to fit nicely under. A disappointing purchase.. It won't fit over a leather jacket, it's too snug around the wrist. I matched these gloves with the alpinestars perforated jacket and they go wonderful together. Just picked up the AStars Celer leather jacket and the jacket zips right over them just fine. Nop.. It's kinda tight.. You need to order one size bigger to fit comfy ..
what is the color of the palm of the BLACK/WHITE/RED ,, is it black or white ?? I'm happy with the gloves but they run really small! Make sure to order at least 1 size larger then usual. The palm color is black. Will this glove fit under a jacket? BEST ANSWER: Yes, they will. But the extra protection for your wrist bone makes it tight fit. This glove is good, I'm just crash at 45mph my hand not hurt at all. Yes they will. Great gloves. which season is this glove best suitable for? summer? winter? BEST ANSWER: These gloves are great for summer riding, unless you live in Florida,then you can use them in the winter as well. The glove is best for summer. It is a well vented leather glove. Would these gloves get too hot in the summer behind a full fairing touring bike? No. They would be fine. I have a wider palm and shorter fingers. Is this a good glove for me and if not, is there something that is better around this price point? BEST ANSWER: I made my purchase based on the sizing chart. I bought the medium size because the leather will stretch a little. The gloves fit my fingers fine now that they have stretched out. While the palm has stretched a little it is still somewhat tight. It is not tight enough to cause discomfort though. Over all these gloves are great. I would but them based on the chart and then just exchange them if they don't work out. Maybe try 1 size up depending on where the numbers fall. 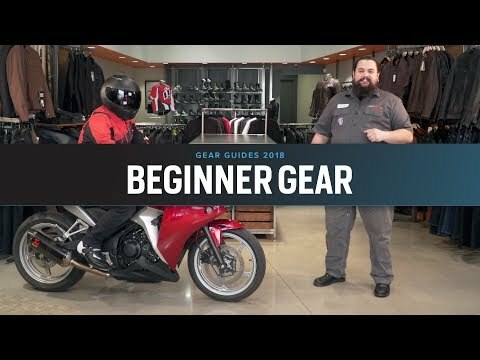 Revzilla is great with exchanging gear that doesn't fit. I don't think so. I am usually XL and had to order XXL. With this size my long fingers become a little short fingers. It's a good glove but I recommend the Rukka gloves if you find them at a good price or closeout. These might not be the best gloves for you. I have narrow hands with longer fingers and these fit me perfect.